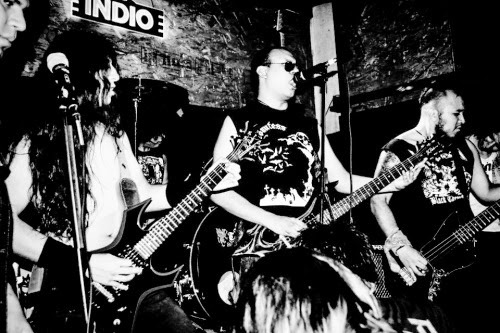 Fueled by the likes of Bulldozer, Hellhammer and Venom comes Ahvawe, Mexico’s answer to early 80s black/speed metal. Raw and gritty are two words that surely define Ahvawe‘s music; mindless thrashing fun is exactly what these dudes live for, and they show it off pretty damn well on their debut demo. All metalheads sometimes feel the need to take a break from the vast technical caliber that so many bands offer and settle for some senseless thrashing fun, and Ahvawe sure as hell delivers in that respect. Be sure to show your support by visiting Ahvawe‘s Facebook page!